The incredible value of preserving our heritage is fundamental to the core of our society, in understanding the past, embracing the present, and securing the future for generations to come. The cornerstone of this heritage is revealed in the very fabric and architecture of many of the buildings that surround our cities, towns, villages and countryside. 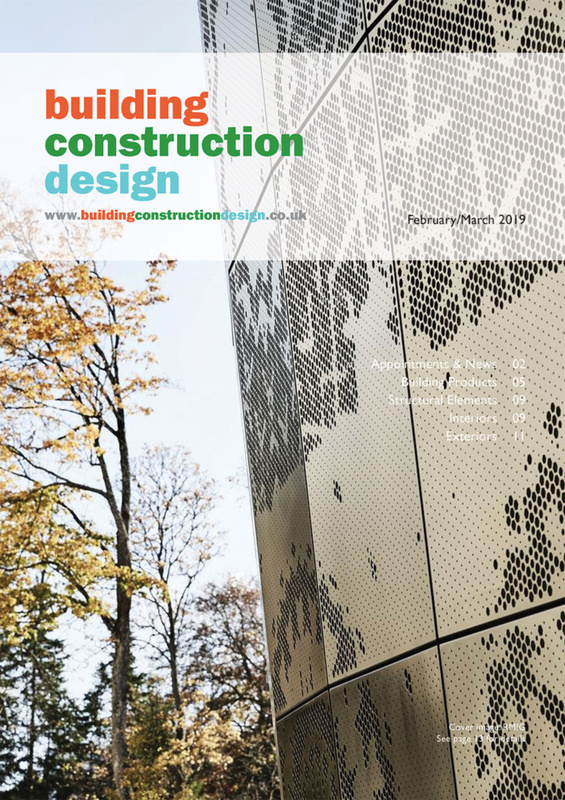 The process of listing identifies and celebrates buildings, which are of special architectural and historic interest, highlighting them within the planning system, and protecting them for the future benefit of all. Historic England estimates that there are around 500,000 listed buildings on the National Heritage List for England alone. In England and Wales, listed buildings are classified in three grades: Grade I, Grade II* and Grade II, whilst in Scotland, with its hugely rich historic landscape, buildings are put into one of three listing categories according to their relative importance, category A, B or C. In Northern Ireland a similar system of grading divides listed buildings into three grades A, B+ and B. The listing process is not intended to prevent further development, but rather highlight special considerations to be taken into account during the planning process. 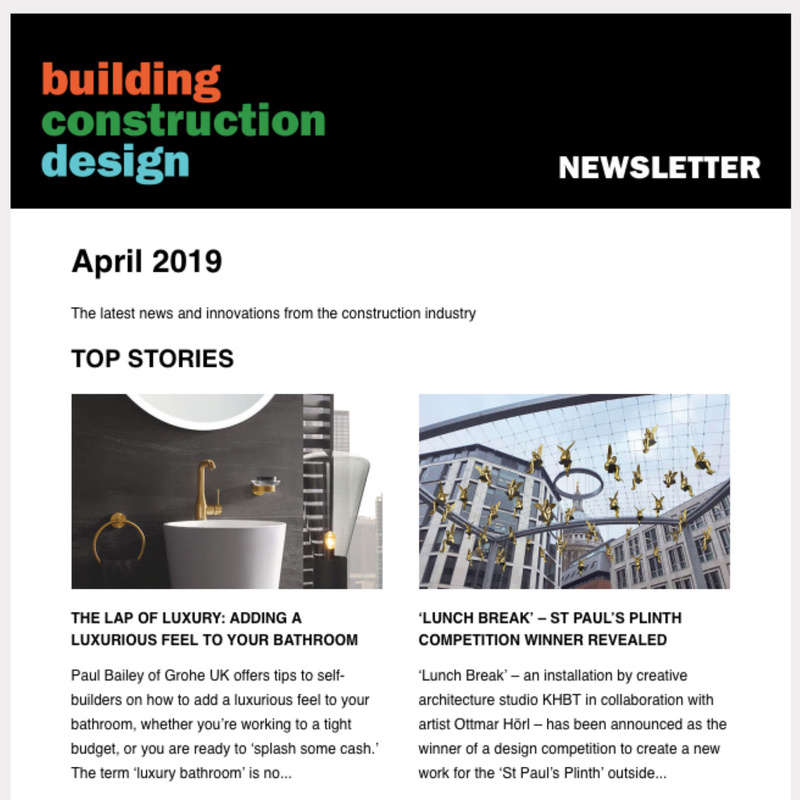 In addition, local authorities may issue building preservation notices on behalf of unlisted buildings, which have been deemed of special architectural and historic interest. The A. Proctor Group developed Roofshield 20 years ago in response to problems caused by the requirements of the UK’s demand for cold-pitched roof construction, and the drive towards ever increasing thermal performance requirements. 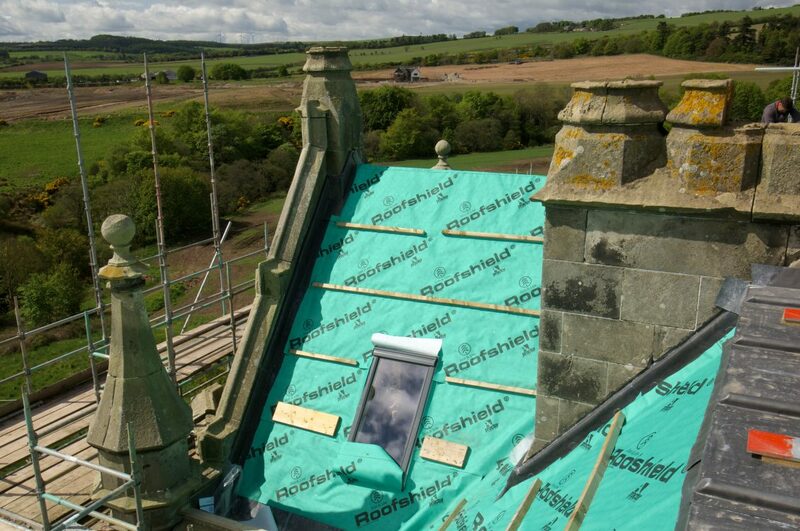 Today, trusted by architects, developers and contractors, the Roofshield brand is synonymous with the highest quality, providing a pitched roof underlay, which is both air and vapour permeable. 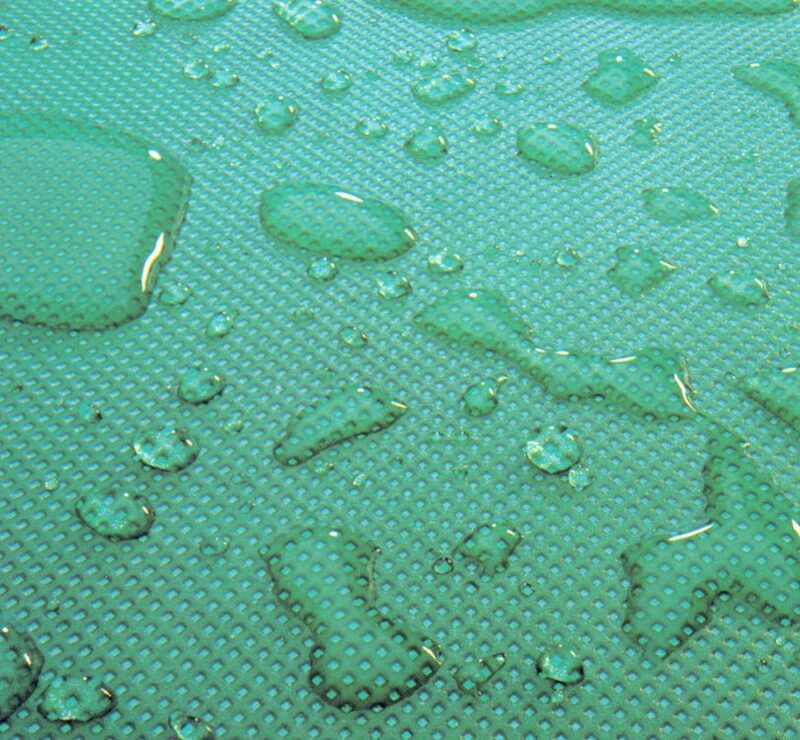 The majority of vapour and air permeable underlays use an airtight VP film layer to achieve their performance, whilst Roofshield’s patented SMS (Spunbond Meltblown Spunbond) structure allows high levels of airflow, in addition to the transport of moisture vapour, making the formation of condensation in the roof space virtually impossible. 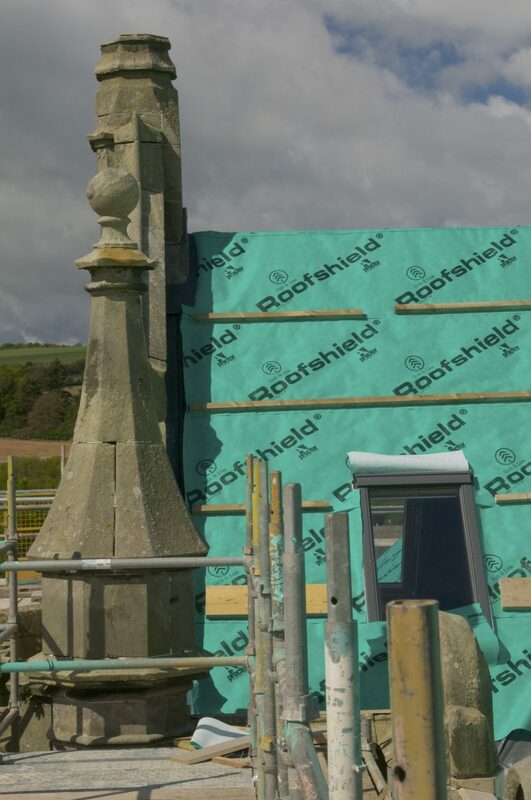 The high performance of Roofshield, backed by two BBA Certificates, means it is a key element in preserving and protecting the fabric of historic and listed buildings. 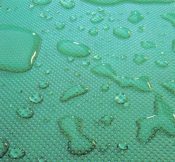 The very low vapour resistance, combined with high air permeability reduces the risk of interstitial condensation, and there is no requirement for a separate vapour control layer. 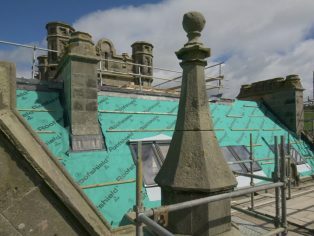 Roofshield has successfully been used in a wide range of refurbishment programmes resulting in the restoration and preservation of a number of significantly important heritage buildings covering applications such as local authority, education, recreation, housing, and worship including; Belfast City Hall, Derry Guildhall, Hamilton Hall – St. Andrews, Lynn Library Queens University Belfast. Located on the former site of the Royal Infirmary of Edinburgh in the heart of the city, Quartermile is a mixed-use development comprising Grade A office buildings, retail and leisure space and luxury apartments. Alongside the new build apartment blocks lie the Lofts, two Grade B listed former hospital buildings, which were refurbished and converted into additional apartments. Originally built in the 19th century, by noted architect Sidney Mitchell, and redesigned by Edinburgh based Comprehensive Design Architects, the impressive roof structures of these unique buildings required careful consideration of moisture management and condensation control. 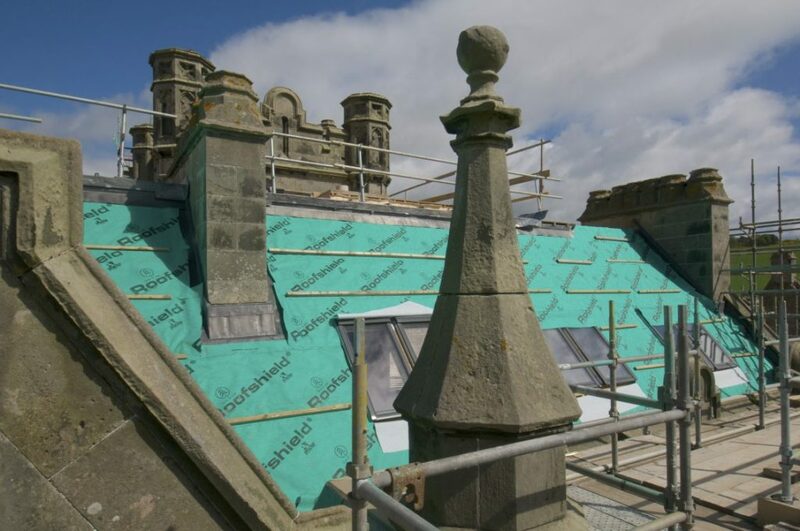 The scale and complexity of the turreted roofs, along with its historic appearance within a UN World Heritage Site made adding traditional ventilation to the roof highly undesirable, but also required a high performance and robust solution. 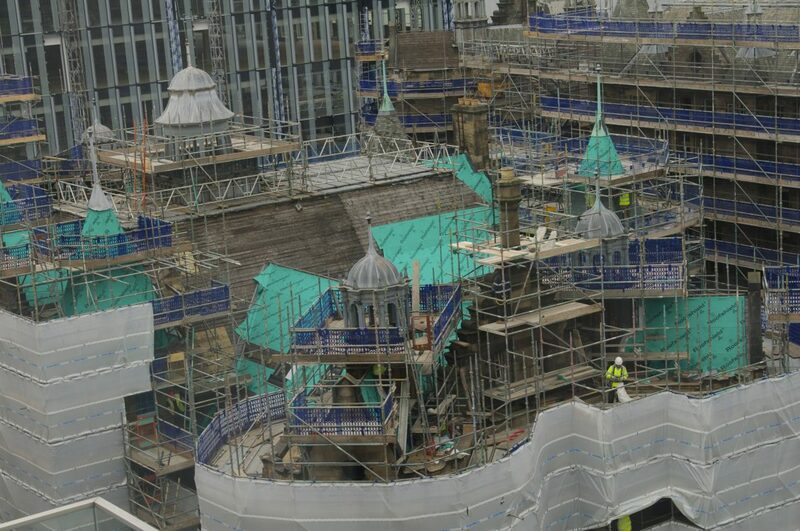 The architects specified Roofshield, the air and vapour permeable underlay supplied by the A. Proctor Group. By combining the highest available vapour permeability with an air open structure, which permits greater airflow than conventional ventilation, Roofshield ensures condensation problems are reduced or eliminated in even the most complex roof geometry.